Schumacher Cargo Logistics Airfreight Division has one prime operating objective and that is to provide an avenue for you to benefit from the best possible air freighting opportunities and services. Our international air freight shipping service offers the fastest way to ship your cars or household goods worldwide. Whether there is a need for consolidated or direct air service, our expert professionals are ready to route your goods from anywhere in the United States. Due to an ever increasing demand for shorter transit times internationally, we utilize premium carriers with established routings. A plethora of different options are available to create the most competitive and reliable air freight forwarding services for you. Why Choose Schumacher for International Air Freight Services? Our international air freight services offer a super-premium way to ship internationally. With its increased precision comes an unmatched amount of control and safety for your air freight export. Whether door-to-door or airport-to-airport, we will tailor our handling and services to match your deadlines and requirements. The airfreight division is available to you 24 hours a day, 7 days a week, 365 days a year. With our extensive list of benefits and over 40 years of experience in air exports, Schumacher Cargo Logistics exceeds the competition as an international air freight forwarder. 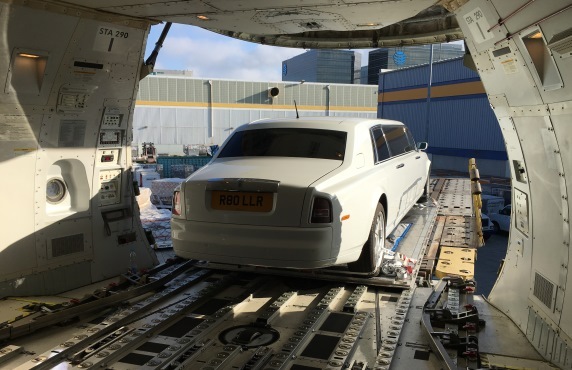 How much does it cost to ship a car or household goods by air? A portion of the international air freight rate depends on the location because the cost to pick up your goods increases the further away from the nearest airport they are. It is also possible to transport your shipment to the airport yourself. The actual cost of international air freight itself depends on the dimensions and weight of the belongings that you are shipping. Larger and heavier goods will be more expensive to ship than smaller items with all other factors being the same. Then the last part of the overall price is the requirements of the destination country. This refers to the duties and taxes of the country as well as the associated port fees. Schumacher Cargo Logistics USA Airfreight Division’s goal is "To deliver a competitive advantage to each customer." Though for many customers, shipping a car or household goods by air will be out of their price range. In that situation, we also offer a more affordable containerized shipping service. Ocean freight exports will certainly take longer than air freight exports, but with good preparation and planning, we can get your goods to their destination on-time. We offer a variety of services to suit every time frame and price range from consolidated container shipping all the way to next-flight international air freight exports.